The rocky coast of Cornwall (in England) has been home to smugglers and wreckers for as long as anyone can remember. 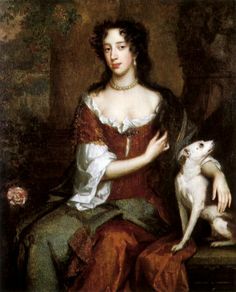 It was also home to a strong female pirate – Mary (sometimes Elizabeth) Killigrew. Mary was the daughter of a Phillip Wolverton, Lord of Wolverton Hall, and a former Suffolk pirate. She was born some time before 1525, and was married to Henry Knyvett, who died in 1547. Mary's second husband was Sir Henry Killigrew, a pirate who was later made a Vice-Admiral by Queen Elizabeth I. These were the days when piracy was something of a national pastime in England. Because of its official Protestant religion, (among other things) England was at odds with Spain, and Spain was in the process of looting gold, silver and emeralds from the New World. There was money to be made in stealing from Spain. Sir Henry was heir to Arwenack castle, a Cornish stronghold near what is now the town of Falmouth, and in a position to control the mouth of the river Fal – the third-largest natural port in the world. Sir Henry had been in trouble under Queen Mary, the last Catholic queen of England. He and his father were even imprisoned for their opposition, though their actual jailtime amounted to only 3 weeks. When Elizabeth I, a Protestant, came to the throne, the Killigrews were back in favor. Not that any of them were angels. A national beauty in her day, with her long auburn hair, Lady Mary Killigrew became Cornwall’s own super villain (or hero, if you like); leading a double life as noble aristocrat by day and ruthless pirate by night! It is said that she often entertained nobles and ship captains in order to extract information about treasure. Both she and her husband used this information later in their robberies. Lady Mary was said to love the excitement. 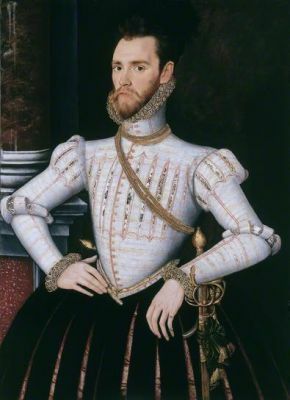 Under Elizabeth’s protection, Sir Henry became notorious for engaging in cattle theft, "evil usage in keeping of a castle" and for abuses of his power as a Justice of the peace. By the time he was appointed a Commissioner to inquire into piracy, he was heavily engaged in that activity himself, and traded with smugglers and pirates who frequented the waters around his home castle. He was the subject of an official investigation in 1565. But pirates brought money into the royal coffers (good pirates of the period kicked back to the ruler they sailed under) but appearances must be maintained. 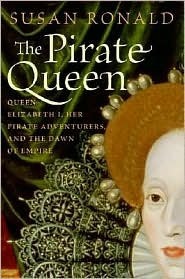 Elizabeth I needed to placate her Spanish peers, even as she was accepting money from men like Francis Drake. Elizabeth had her reputation, too. Mary was, by all accounts, an enthusiastic supporter of her husband’s less than legal activities. She re-designed Arwenak to better hold stolen goods, cut deals with smugglers, and occasionally sent her servants out to raid ships driven into the huge natural harbor by storm or other misfortune. It’s possible that all this took place with Queen Elizabeth’s approval, or at least while she turned a blind eye. The final straw, however, came in 1570. A ship came in to the Far-mouth harbor, sadly knocked about from a major storm, possible dismasted. Some sources call the ship a German merchant. Others say the ship was Spanish (which I believe is the more likely.) Mary was at home with only her servants – Sir Henry was out pirating. Seeing the opportunity to make a huge profit, Mary sent a raiding party out in the dead of night to capture the ship. The more romantic pirate fans say she led the attack herself. This is unlikely, though she probably planned it. And who knows? There's no proof she didn't either. Her men did not do things halfway. They not only captured the ship’s cargo, but the ship itself. 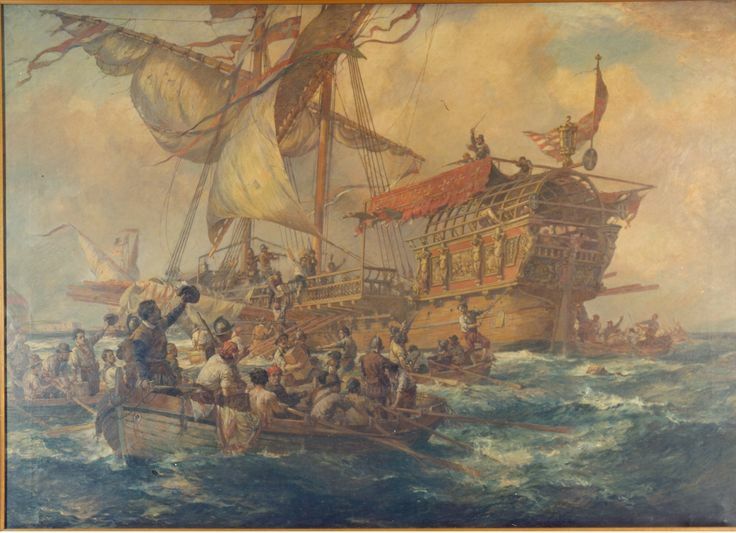 After unloading their plunder, they supposedly sailed the ship to Ireland to sell it. With all the cargo hidden in a castle, and the ship itself sold far away, it looked like the perfect crime. But the ship’s owner went directly to the Queen. Faced with such obvious evidence of piracy (the robbing and stealing of the ship) something, at last, had to be done. Queen Elizabeth had Lady Mary arrested and brought to trial. Some sources say she was sentenced to death and then pardoned by the Queen. Others say her family bribed the jurors and she was acquitted. (The family had been bribing government officials to cover up their nefarious activities for generations. Piracy is profitable enough to make that kind of thing possible.) Whether due to bribes or the efforts of Queen Elizabeth, Mary served only a short term in prison, though two of her servants were hanged. It was about this time that Mary began to be known as Elizabeth. This has confused historians, and everyone else, and many sources speak of Mary and Elizabeth Killigrew as two separate female pirates. But these were times when changing one’s name was pretty much as simple as asking people to call you something else. Did Mary, bearing the name of Elizabeth’s former rival, change her name to Elizabeth to curry royal favor? We will likely never know, but it seems plausible. Whatever transpired, Mary gave up pirating and spent the rest of her life storing her husband’s ill-gotten gains and fencing stolen goods, until she died several years later. Learn your costumes! The lady in those paintings was born 100 years later than the one you are talking about. 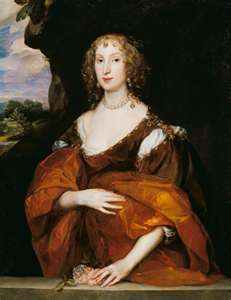 The Lady MK in the first picture was painted by Van Dyck in 1638. The second picture looks even later.